We would like to support you in your studies and concerning your career at the Faculty of Biology. We offer programs for female scientists to support the scientific work, e.g. for congress and scientific travels, publications, support of postdoc as well as the AdaLovelace mentoring program (see below) etc.. The exact opportunities which are supported by us can be found in the document available for download in the right column (document in German). Additonally, you also find there information about the non-formal application (in German). If you have got any questions concerning gender affairs please do not hesitate to contact us or Stabstelle Gleichstellung und Diversität of JGU. 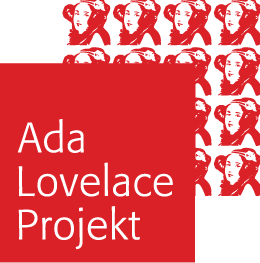 Since 2008, the Ada Lovelace Mentoring Programm at Johannes Gutenberg University Mainz conducts professional orientation for female doctoral and postdoctoral students in natural science. The goal of participation for mentees is to clarify their personal professional future, to gain strength, to answer individual questions and to enlarge their network. The program offers a resources oriented process entourage of 18 months starting yearly in January. Group Coachings are offered for the mentee groups in order to clarify questions of professional orientation, to enhance self-reflection and to initiate the exchange of learning amongst mentees. These mentee groups build a process stabilizing ground network for the mentees. On the basis of their professional goals, the mentees choose a mentor. These mentors can be professionals from academia as well as from outside academia. In case of ambivalence between an academic and non-academic career choice, the program facilitates the mentee´s decision process mindful and goal-open. Within a one-to-one mentoring relationship lasting for one year, the mentees profit from the personal experiences and perspectives of their mentor. The mentor executes personal meetings with the mentees and offers additional support i.e. job shadowing, participation in meetings and creating networking chances. 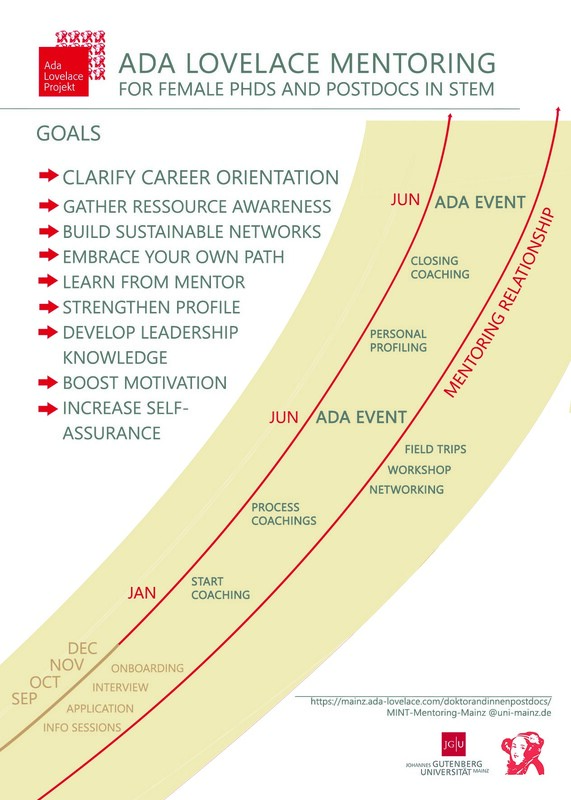 In completion, the Ada Lovelace mentoring program offers excursions, networking events, a profound workshop program and the option for a personality profiling as well as coaching.